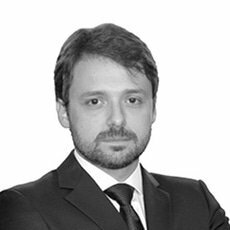 Cassio Gama Amaral’s practice focuses on insurance, reinsurance and pensions with an emphasis on claims handling and litigation, as well as mediation and arbitration. He is a professor of a postgraduate course on insurance law at Escola Nacional de Seguros and author of several publications on insurance law matters. He is a member of the International Insurance Law Association, Brazilian Section (AIDA). He is fluent in Portuguese, English and French. He has a bachelor of laws from Unijorge (affiliated with Whitney International University System), a master of laws in international law from EM-Lyon, Grande École de Commerce de France, a master of business administration from Universidade Federal da Bahia and a business extension course from Harvard University. He has been recognised in Chambers Global: Insurance (2016–2019), Chambers Latin America: Insurance (2016–2019), The Legal 500: Dispute Resolution and The Legal 500: Insurance (both 2016).